Medical tattoo pricing depends on the individual client but below are guidelines on what you can expect to pay. The Norwood scale classification – which one are you? Try to decide which one you are before contacting us for a quotation. Sending photos will also help but the final price will only be given once we have examined you at the clinic on your initial consultation. Stage 1: No noticeable loss of hair or recession of hairline. Stage 2: This stage is also called the mature hairline stage, where the hairline around the temples exhibits a slight recession. Stage 3: This stage is where clinically significant hair loss occurs and it appears as a significant recession at the temples that forms a U, V, or M shape. 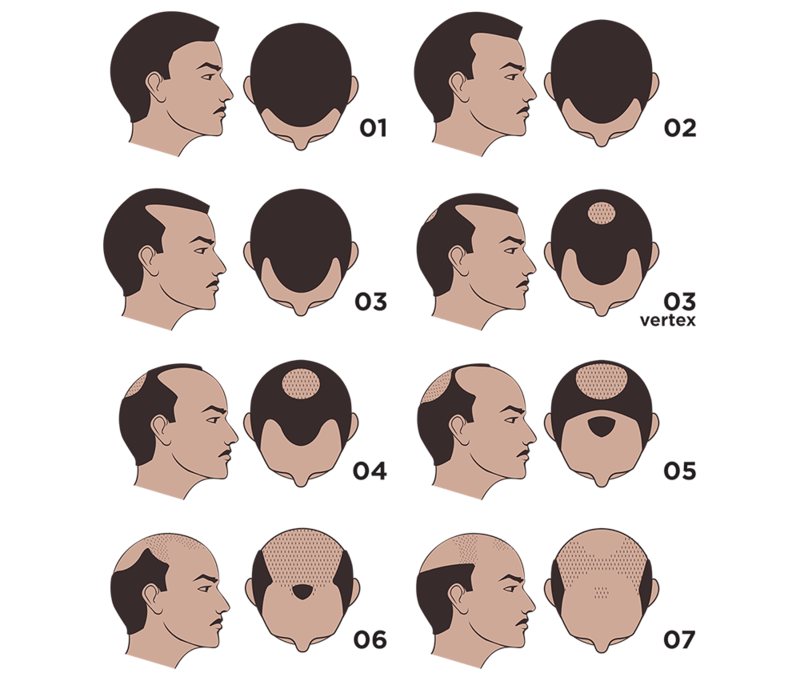 Stage 3 V (vertex): This stage is a variation, where there are no changes in the mature hairline, but it’s accompanied by a significant loss of hair at the top of the head. 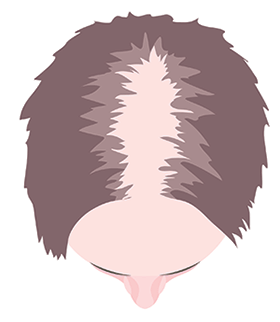 Stage 4: A severe recession of the hairline with sparse to no hair on the top of the scalp, only a band of hair remains that connects hair on the two sides of the scalp. 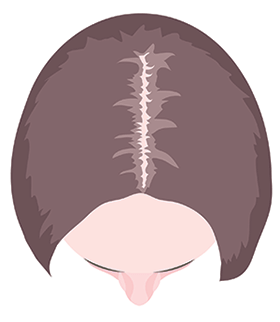 Stage 5: The band of hair across the scalp becomes narrower and sparser, areas with hair loss are bigger than the ones identified in stage 4. 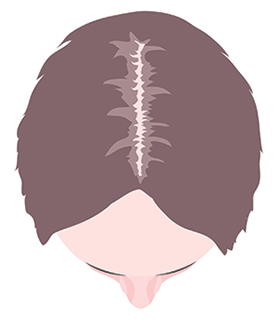 Stage 6: The connecting band of hair disappears or becomes sparse, the balding area on the top of the head joins with the balding areas at the temples. Stage 7: Only a band of hair across the sides of the scalp remains. This hair may be thin and sparse. Norwood A: A variation that denotes an unusual progression of pattern baldness (e.g. hairline recedes from front to back without thinning at the vertex). 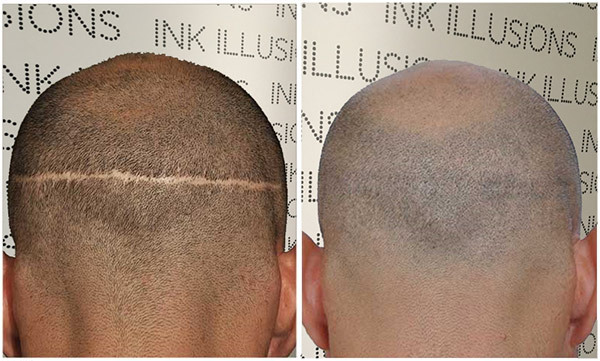 Additional thinning areas other than the parting and hairline will incur extra costs – an exact price will be given to you on your initial consultation once we have examined you. We accept all standard payment methods including credit and debit cards (Visa, Mastercard, Maestro), cash and bank transfer payments. A 10% non-refundable deposit is payable to secure your booking, then the remaining balance is split between your treatment sessions. This enables our clients to pay in 2-3 smaller instalments.